Part of our linefire or linear gas fire collection, the 2000 is slender and elegant fireplace. This image is of our installation at the prestigious Miram House development by Artemi Gibbs. 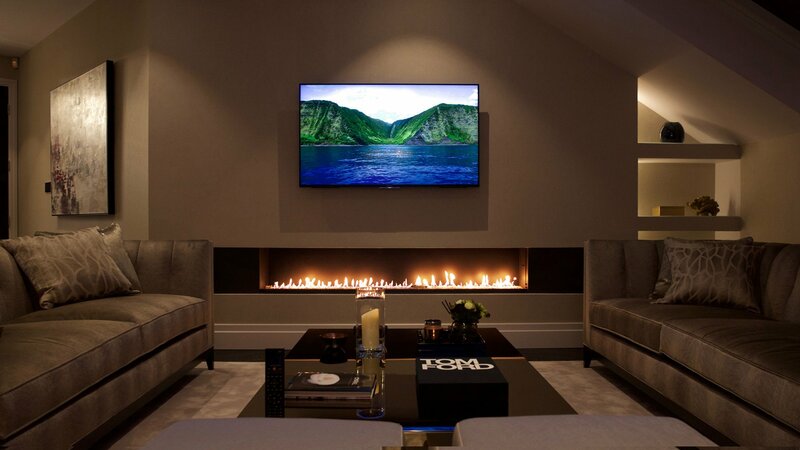 This 2m linear gas fire was installed in the penthouse as the prime focal feature of the living space. As a beautiful design feature, the flickering flames come alive particularly at night as the gentle dance of the flames provide warmth and relaxation. The dark side panels either side of the fireplace were an added design feature to further enhance the impact of the fireplace within the space.